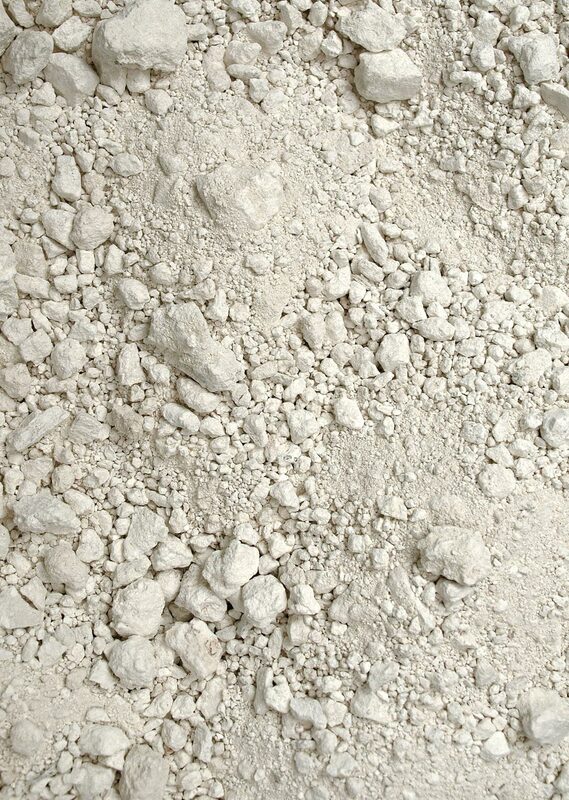 The key ingredient for the creation of white porcelain is kaolin. For more than 250 years, this fine clay mineral has been mined in Meissen’s own kaolin pits in Seilitz, a mere 15 kilometres away. 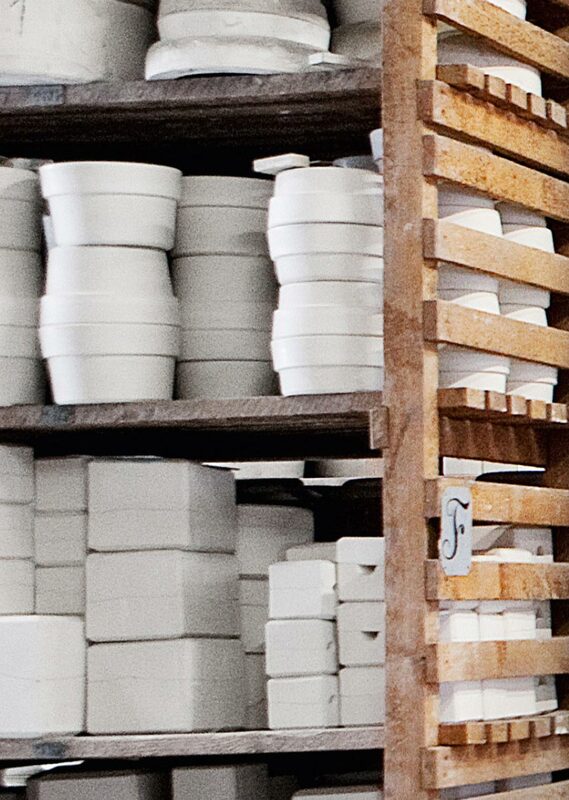 Meissen's mould archive is home to around 700.000 moulds from 300 years of manufactory history. It is the oldest and largest collection of porcelain sculpture and tableware moulds in the world. The Crossed Swords have represented the exceptional quality of Meissen porcelain since 1722. To this day, only two trained “swordsmen” are allowed to paint them onto Meissen porcelain. The Meissen manufactory has operated its own paint laboratory since 1720. This is where all of the on- and under-glaze paints are made. In the manufactory's early days, it was porcelain painter Johann Gregorius Höroldt who helped develop the pigments that would be used by the first porcelain manufactory in Europe. Höroldt’s base palette consisted of 16 heat-resistant on-glaze paints, as well as the cobalt blue under-glaze paint that is still used to apply Meissen’s signet to every piece of Meissen porcelain. Today, Meissen’s porcelain painters can rely on a standard repertoire of around 300 colours. This is just a small percentage of the Meissen paint laboratory’s nearly 10.000 paint formulas, which allow them to perfectly recreate every nuance of historic Meissen porcelain designs. 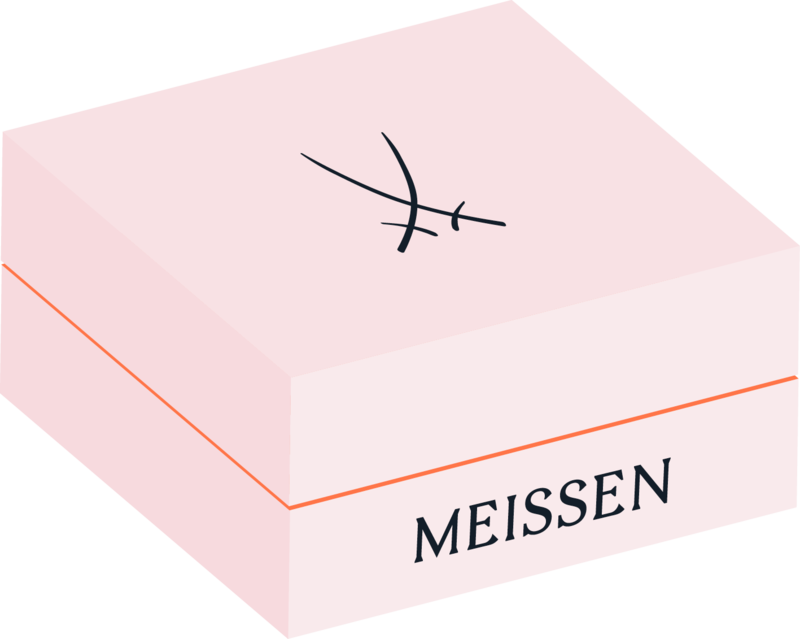 Even now, only very few Meissen employees have access to the exact formulas. 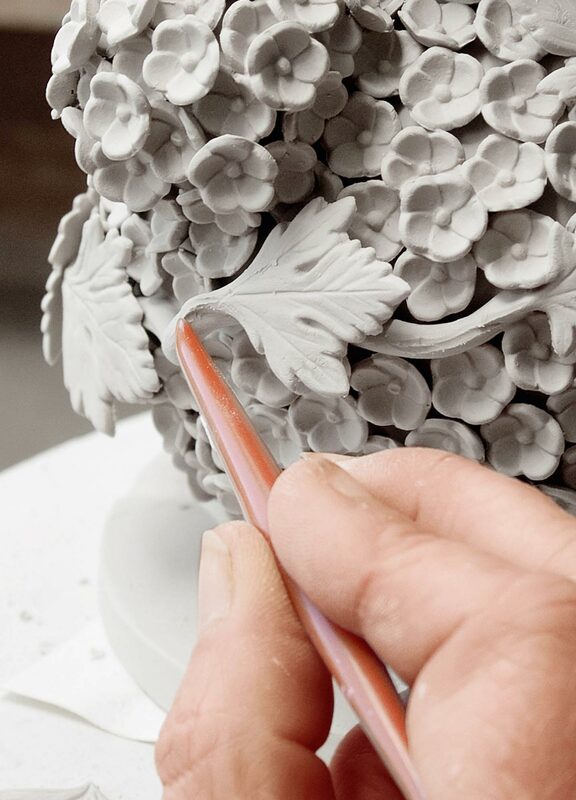 All Meissen porcelain pieces are brought into shape using one of three techniques: throwing, casting, or forming. 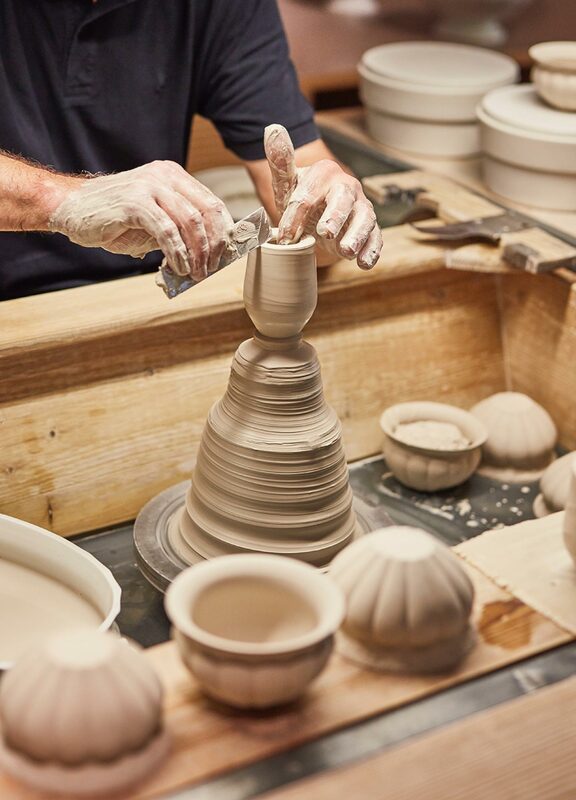 Plates and cups are thrown by hand on spinning wheels, first as blank workpieces, then gently pressed into plaster moulds to create their outer contours and detailing. A stencil is used for inner contours and thickness. 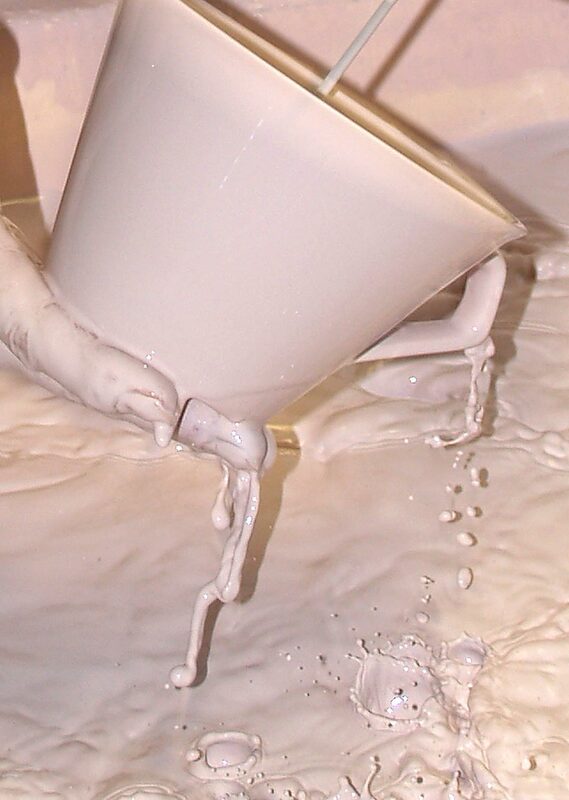 For casting, the liquid porcelain paste is poured into a plaster mould, where it is left to dry and solidify. Excess porcelain paste is poured out. Every plaster mould is divided into several wedges, which are taken away one by one so that the porcelain can be taken out without damaging it. The up to 100 pieces of a sculpture are made by pressing the porcelain paste into plaster moulds: two halves that are then pressed together to create a full piece. After a set drying time, this is then taken out and handed on to the embossers for further assembly. Designed and cast in a great number of individual pieces, Meissen figures and sculptures are assembled by the embossers. 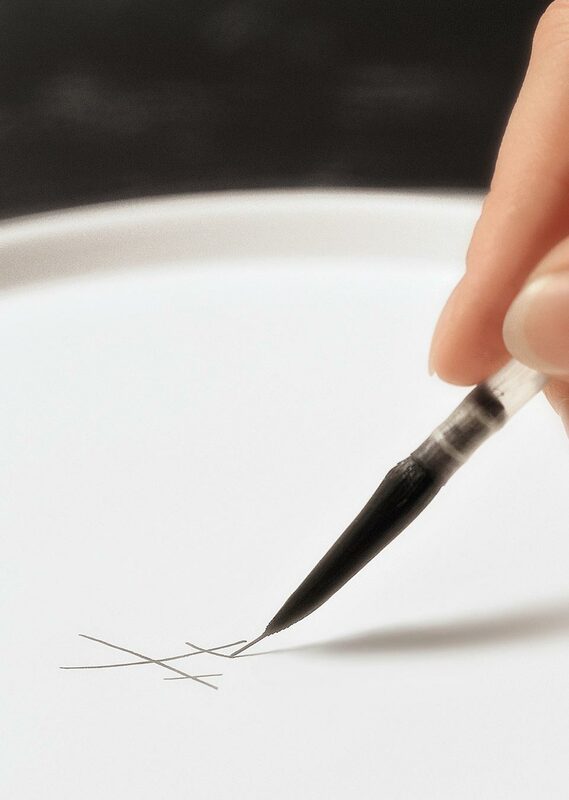 They use slurry, a liquid porcelain paste, a great deal of skill, and the right mix of pressure and intuition to assemble the individual pieces. Smaller decorative elements such as leaves, flowers, and scallops are formed by hand using a wooden mould and then attached to the figurine. In the final stage of this step, using a modelling stick and other tools, they flesh out details such as individual ringlets or a figure’s facial expression, and also retouch all of the seams. Embossers bring out a piece’s finer aspects and make the final touches in accordance with the modeller’s vision. 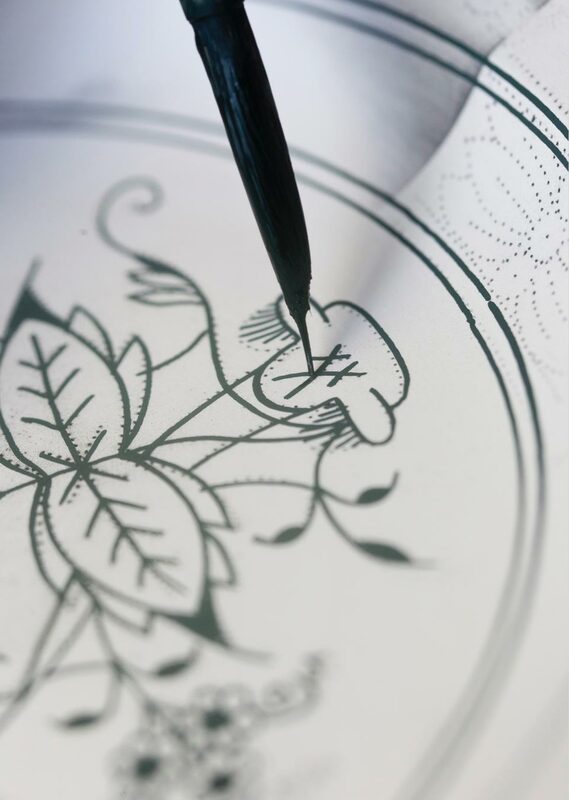 This requires a great deal of artistic talent, which Meissen embossers learn during their three and a half years of professional training. Under-glaze paint is applied before the second firing and melds together with the porcelain at 1.400°C. Very few colours are able to withstand temperatures this high. 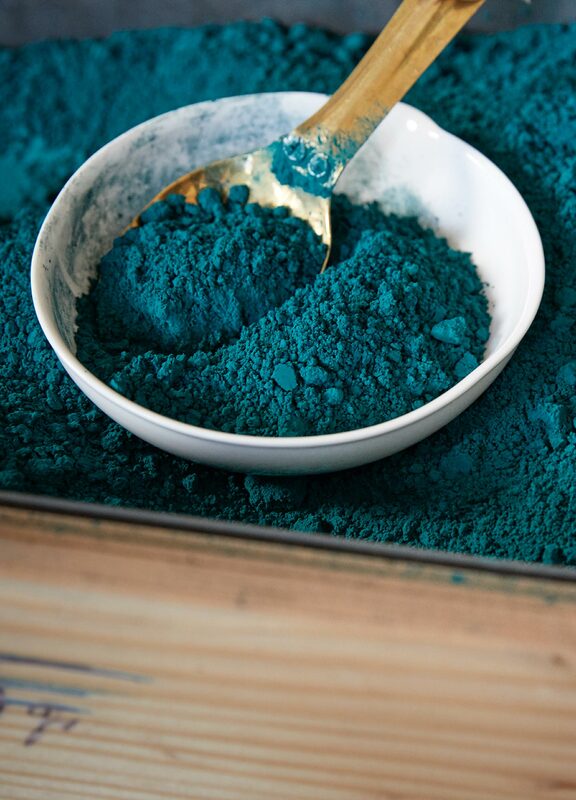 The most famous: cobalt blue. After biscuit firing, porcelains are submerged in glaze baths, while figurines are sprayed. The glaze, also produced in-house, creates the glass-like outer layer during the subsequent glost firing. On-glaze paint achieves its full brilliance during the subsequent firing. 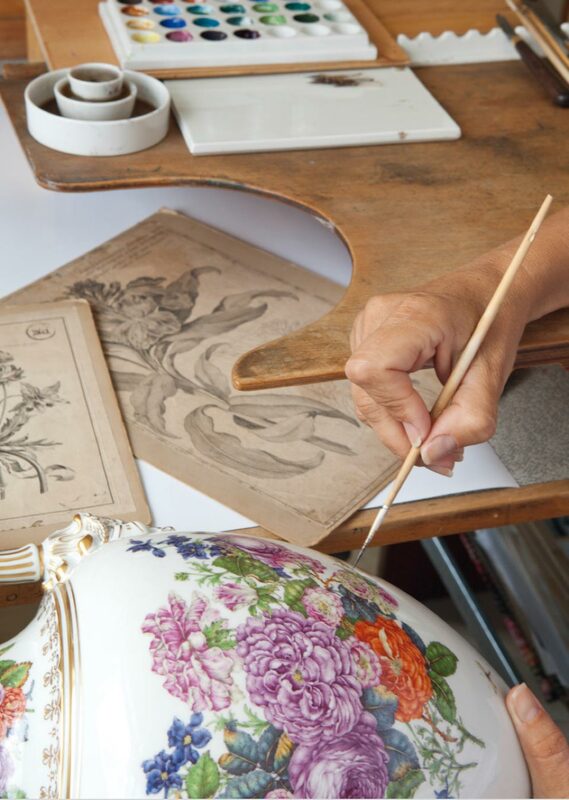 Every Meissen painter is specialised in their own area of the manufactory’s vast array of decorative motifs. Along with the composition of the porcelain paste, it was significant advances in firing technology that made the invention of porcelain possible in Meissen at the outset of the 18th century. 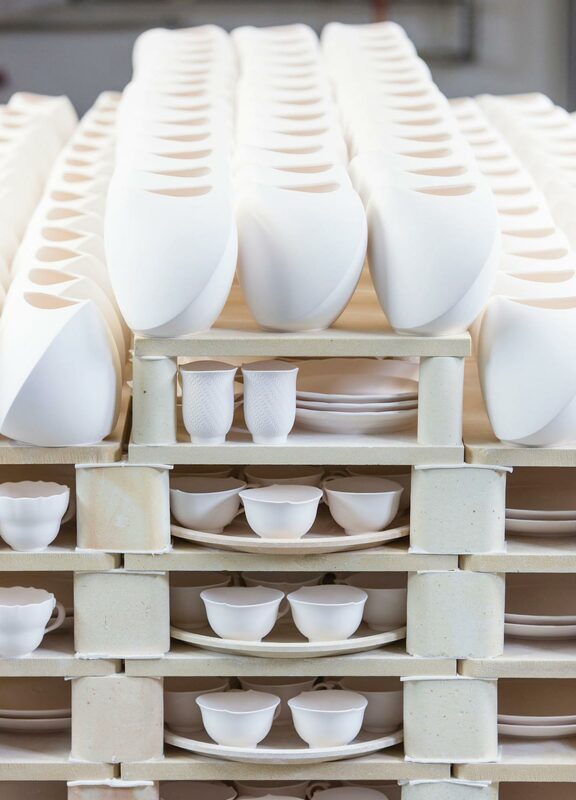 Porcelain pieces spend hundreds of hours in the kilns at different temperatures – starting with their biscuit firing at around 950° C right after they have dried. It is this first firing that lends the pieces their structural integrity along with a porous surface. Any under-glaze decorations along with the “Crossed Swords” on all Meissen porcelains are applied directly onto the biscuit porcelain. Single-fired porcelains receive their all-important finish in the rose-coloured glaze baths – or spray booths in the case of delicate figurines. 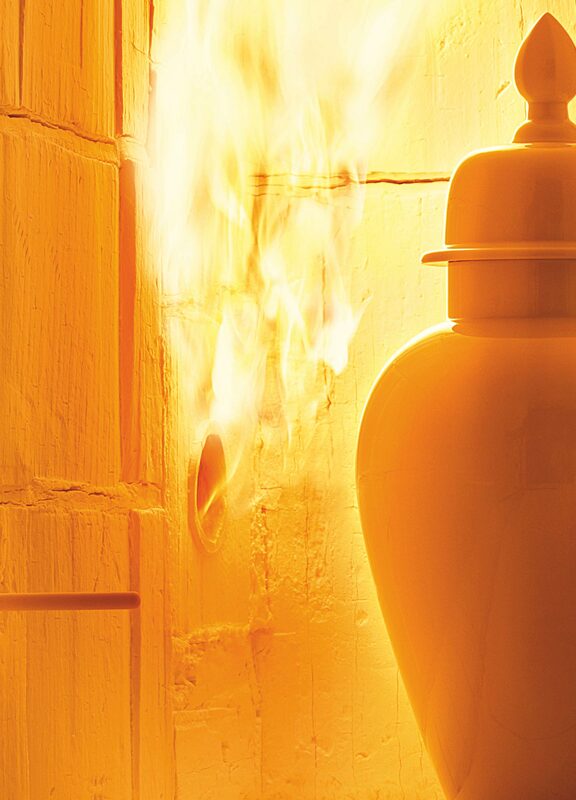 The subsequent glost firing occurs at up to 1.400° C and can last up to six days. It is during this time that the glaze fuses with the porcelain, which also shrinks by roughly one sixth of its original size. The composition of the porcelain paste and the firing technology must be optimally coordinated in order for the final product to exhibit the special strength, pure white colour, and brilliant lustre for which Meissen porcelain is famed the world over.